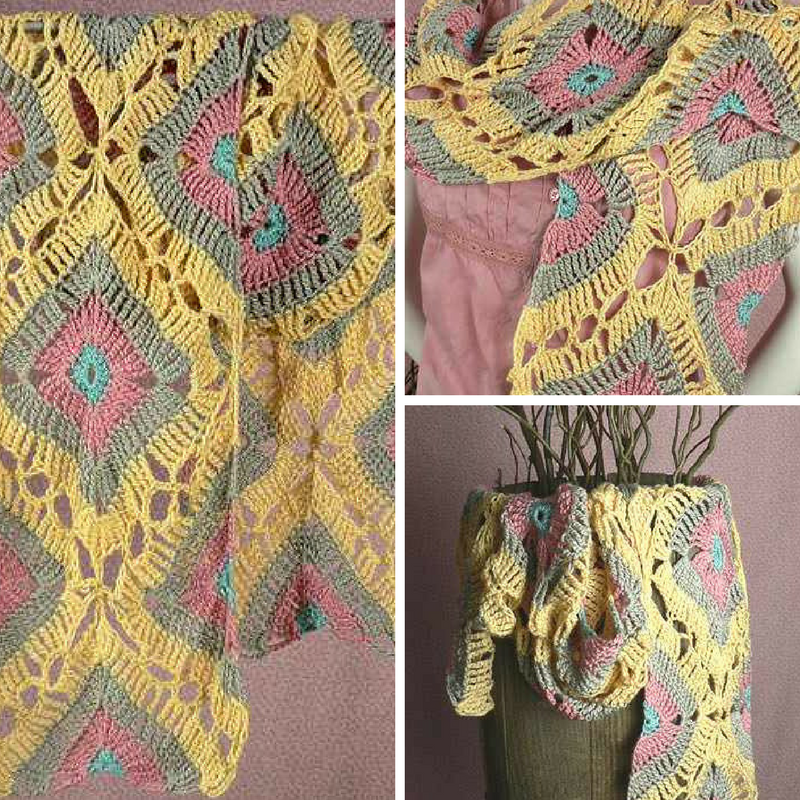 It takes 10 triangular motifs and 3 square motifs to create this beautiful, gorgeous wrap. The pattern is actually called Sandals Wrap (intriguing, isn’t it?) and designed by Kristin Omdahl. The motifs are joined as you go and the design is gorgeously striking and exquisite. Originally designed as a wrap, this pattern can also be used to create stunningly beautiful home decor items. Thanks to Kristin Omdahl for the article inspiration and featured image.